Riding in the rain is never fun. Things like visibility, traction, stopping distance, and handling goes right out the window. Plus you're soaking wet and you have to worry if your gear is going to be able to hold up to mother natures fury. 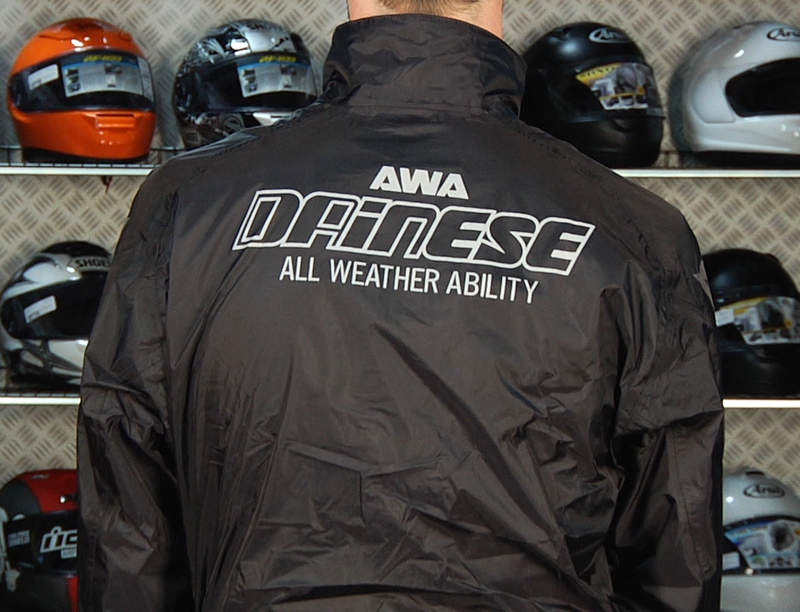 Well Dainese has a product that will make riding in the rain a little less awful. It's the Dainese Hogan-S Rainsuit, and it's designed for the sport-touring rider that may encounter a rainstorm or wet conditions and doesn't want a little water to slow them down. The Dainese Hogan Rainsuit is a one piece rain suit is designed to be worn over your motorcycle jacket and pant combination. The main zipper goes from the suit's collar all the way down to the thigh on the left leg. The pants' zipper goes all the way up to the bottom of the knees and there are nice long zippers in the arms. This makes getting in and out of this suit very easy, even while wearing full moto gear. Would I want to put this suit on while parked under an overpass with traffic flying by at 80mph? It can be done, but I'd much rather do it at a fuel station. Each zipper is backed by a gaiter to stop water and snapping flaps aid in its waterproofing. There's a set of waist adjusters to help tighten this suit up to your size. 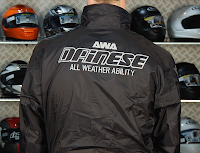 Since you're going to be wearing this suit during a rainy day or night, Dainese put reflective inserts on their logos at the front and back of the suit. Is this the most stylish piece of apparel in Dainese's line-up? No, but this is definitely one of the most stylish rainsuits out there. 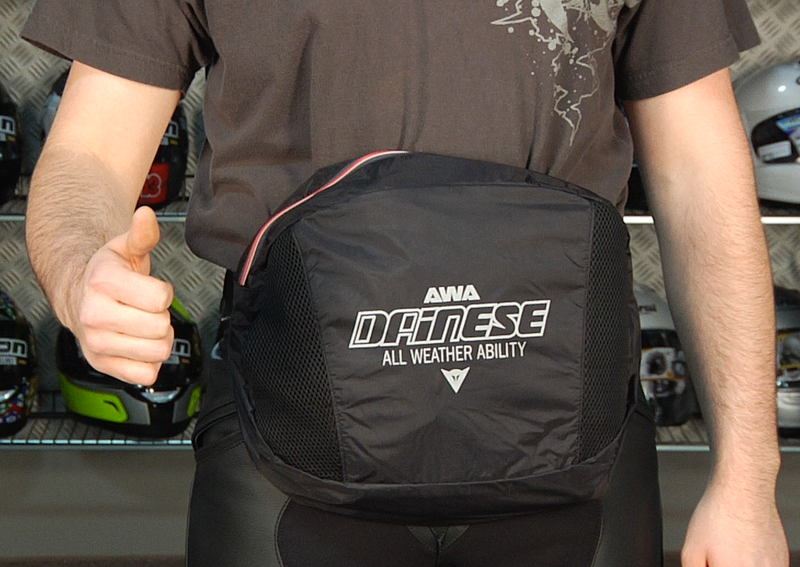 There is also a Dainese stuff sack that you can fold this rainsuit into when it's not in use. The Hogan doesn't have any armor in it so you definitely need a protective moto jacket and pants underneath. Check out all of our Motorcycle Rain Gear at RevZilla.com.